Sending flowers for the arrival of a new Baby Girl is the perfect way to send your love and best wishes. 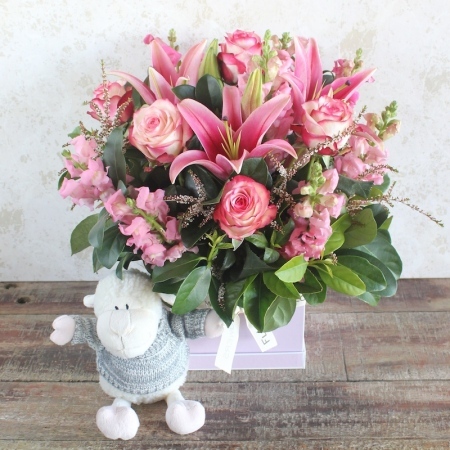 This vibrant box of flowers includes perfumed Oriental Lliles,Roses and Snap dragons in a mix of Pinks and is delivered with a gorgeous little Lamb soft toy. Send your congratulations today, order now or phone our friendly florists 02 9871 1666.